I remember the proud owner of the C128 in the mid 80s showing off the power of 3 OSses in the computer club in Maastricht. As kid I was quiet and watched it with respect. Someone asked the question but which software is available for the C128 and CP/M? Fast answer was almost none but you can use C64 mode. Expensive C64 was said. More and more people came around the C128 and one said the destructive words :”Why didn’t you wait for 2-3 months and buy the Amiga?”. The rest is history. Why I wanted a C128-D in my collection? Sad but true for the 3 OSses. 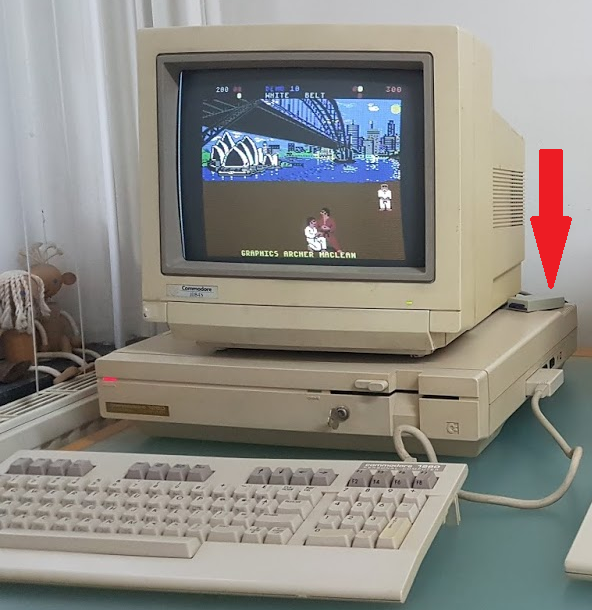 I love the Amiga 2000-like (PC-like) look with a decent keyboard and place for the monitor. The two machines next to each other is a perfect hommage to the Commodore 8 and 16 bit computers.